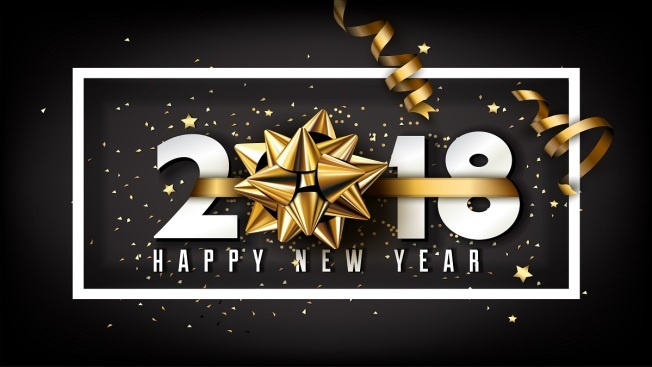 If you still haven't made plans on how you will ring in the new year with your family, there are several family-friendly events in the area which provide food, drinks and live entertainment. If the little ones can’t stay up for the real ball drop, countdown with them at noon on Sunday at The Yards Park. There will be face painting, crafts, inflatables and a balloon drop. There’s a lot for families to do at Baltimore’s Inner Harbor. The New Year's Eve Spectacular will include live music, ice skating and a firework display over Baltimore’s Inner Harbor. From 3 p.m. to 6 p.m. activities include face painting, moon bounces and an early firework show at 5:30 p.m. From 8 p.m. to midnight, the party on the dock will feature live music and dancing with the traditional late night spectacular. Rain or shine, enjoy New Year's Eve with face painting, food truck vendors and a firework show at 7 p.m. Event proceeds benefit Howard County General Hospital. Children under the age of four get in free. Ring in the new year at Port Discovery Children’s Museum for a day filled with food, dancing and a balloon drop. Children 2 and under are free. Guests are encouraged to arrive early for the popular event. Bring the whole family for a night of local entertainment, kids' activities and fireworks over the Potomac River. Several activities will happen throughout the day at various locations. The event schedule can be found here. Kids 12 and under and active military members are free. Filled with musicians, dancers, magicians and more at various venue locations, First Night offers entertainment for nearly every age. Many activities are planned throughout the day at various locations; find your perfect event here. You'll need a First Night button to access activities. Buttons can be picked up and purchased Dec. 21 through Dec. 31. Children five and under are free. Spanning four blocks of downtown Falls Church, enjoy "Watch Night," an evening of entertainment with the whole family. There will be food trucks, live performances, obstacle courses, balloon artists and more. Filled with obstacle courses, bounce castles in addition to food vendors, raffles and a ping pong ball drop at 9 p.m., celebrate the end of the year in downtown Fredericksburg. Celebrating their ninth year, the Fairfax Four provides residents the opportunity to run into the new year. After you get your exercise, you can enjoy a pizza party. Time: 11 p.m. to 5 p.m.
Join Skate-N-Fun Zone’s New Years Eve party filled with an all you can eat pizza buffet, party favors and a balloon drop. Join kids’ band the Rocknoceros for their 11th annual New Years Eve Party as they do a full-fledged countdown and an apple juice toast for all! This is a first come, first-seated event.